Dornier Flugzeugwerke was a German aircraft manufacturer founded in Friedrichshafen in 1914 by Claude Dornier. Over the course of its long lifespan, the company produced many designs for both the civil and military markets. Originally Dornier Metallbau, Dornier Flugzeugwerke took over Flugzeugbau Friedrichshafen production facilities (Weingarten, Warnemünde, and the former Zeppelin shed at Manzell) when it failed in 1923. Dornier was well known between the two world wars as a manufacturer of large, all-metal flying boats and of land based airliners. The record-breaking 1924 Wal (English: Whale) was used on many long distance flights and the Do X set records for its immense size and weight. Dornier's successful landplane airliners, including the Komet (Comet) and Merkur (Mercury) which were used by Lufthansa and other European carriers during the 1920s and early 30s. 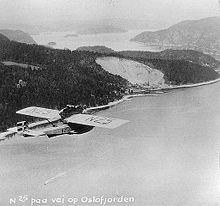 Dornier built its aircraft outside Germany during much of this period due to the restrictions placed on German aircraft manufacturers by the Treaty of Versailles: locations included Altenrhein, Switzerland, 12km from Zeppelin's Lindau (Bodensee) location. 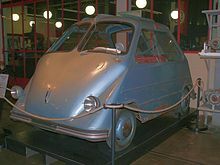 Foreign factories licence-building Dornier products included CMASA and Piaggio in Italy, CASA in Spain, Kawasaki in Japan, and Aviolanda in the Netherlands. Once the Nazi government came to power and abandoned the treaty's restrictions, Dornier resumed production in Germany. The success of the Wal family encouraged the development of derivatives, and of more advanced successors, such as the Do 18, and Do 24 which saw service in several armed forces, including German, into World War II. Dornier's most important World War II military aircraft design was the Do 17, nicknamed The Flying Pencil. It first flew in 1934 as a mailplane for Lufthansa but due to its narrow fuselage (hence its nickname) it was not commercially viable and was passed over. Dornier then developed it further as a military aircraft, with a prototype bomber flying in 1935, and in 1937 it was used in by the German Condor Legion during the Spanish Civil War. Production continued in Germany and it was developed to fill multiple roles for the Luftwaffe. As a medium bomber it saw service during the early part of World War II, particularly during the Battle of Britain. It was later developed into a nightfighter to counter the RAF bomber offensive. Dornier developed the similar looking Do 217 from the Do 17 but it was a larger and completely new design. Dornier also developed the fastest piston-engined fighter of the war, the twin-engined Do 335, which was too late to see service. After WWII aircraft production was again forbidden in Germany, and Dornier relocated to Spain and then to Switzerland where the firm provided aeronautical consultancy services until returning to Germany in 1954. Post-war, Dornier re-established itself with successful small STOL Do 27 and Do 28 transports. In 1974 it joined in a joint venture with French aircraft manufacturers Dassault-Breguet to develop the Alpha Jet. The plane was ordered as the new standard NATO trainer during the 1970s and 80s. In 1983, Hindustan Aeronautics Limited (HAL) bought a production licence for the Dornier Do 228 and manufactured the aircraft for the Asian market sphere. By 2013 a total of 117 Dornier DO-228 aircraft had been produced by HAL with plans to build 20 more during 2013-14. In 1985, Dornier became a member of the Daimler-Benz group integrating its aeronautic assets with the parent company. As part of this transaction, Lindauer Dornier GmbH was spun off, creating a separate, family-owned firm, concentrating on textile machinery design and manufacturing. The rest of the company was split into several subsidiaries for defence, satellites, medtech and aircraft. In 1996, the majority of Dornier Aircraft was acquired by Fairchild Aircraft, forming Fairchild Dornier. This company became insolvent in early 2002. Production of its 328 Jet was acquired by US company Avcraft. Asian groups continued to show interest in its 728 version in August 2004, but production had not restarted. The other subsidiaries became part of the EADS; the medtech division was sold to an investment company and now bears the name Dornier MedTech. Dornier Medtech manufactures medical equipment, such as the Dornier S lithotriptor, HM3, Compact Delta to treat kidney stones. Dornier MedTech also manufactures laser devices for a wide range of applications. The Dornier family have a spin-off company and project, the Dornier Seastar. It is a turboprop-powered amphibious aircraft built largely of composite materials. This was developed by Claudius Dornier Jr.
Additional unbuilt projects include 3 different Schneider Trophy racers from 1924, 1928 and 1931 and a large multi-engine seaplane similar to the Do X with engines buried in the wings. ^ "India to present Dornier aircraft to Seychelles for surveillance, anti-piracy missions". 3 August 2017 – via The Economic Times. ^ "India to present Dornier aircraft to Seychelles for surveillance, anti-piracy missions". India Times. January 24, 2013. ^ "FOC - Faint Object Camera". Hubble. European Space Agency. 2006-12-12. Retrieved 2007-02-07.